In the quest to make pickup truck cabs more spacious, more comfortable and more practical, the all-new Ram Mega Cab offers the largest pickup cab ever. With class-leading interior room and comfort for six adult passengers and their gear, the Mega Cab is in a class all its own. Mega Cab’s 145.2 cu. ft. of interior space features the industry’s most innovative seating and storage configurations, including the first reclining rear seats available in a pickup truck. The rear passenger area of the Ram Mega Cab offers leg room of 44.2 inches and the rear seats also split 60/40, fold down and move forward. 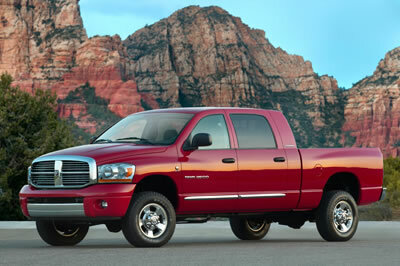 The starting point for the Ram Mega Cab is the 160.5-inch wheelbase Ram 2500 long box model. Engineers replaced the 8-foot long box with the Ram 2500’s 6-foot, 3-inch box, providing an additional 20 inches for the cab. The result is a cab length of 111.1 inches.